Fursuits are an expensive thing - most of them easily costing 4 figure numbers for full suits, and the price increasing for quality, complexity, and useful bits like a built in cooling system. So, for many in the furry community, they're something that people imagine having, but likely unable to justify spending the money on. The dreams persist, though, for many, of what it'd be like to have their own suit. And it persists for one con goer who receives a once in a lifetime opportunity when a living, shapeshifting symbiote by the name of Six offers to be his own personal fursuit, customized just the way they like it, to become the personalized tiger suit they'd imagine themselves having, if only they could afford it. To be their own fursuit, so long as they let them bond for the rest of the con, and get the energy charge they need to stay alive for another year. This, however, is not a deal with the devil, despite all warning signs - unless, of course, you count yourself, your own fears, your anxieties, and your desperation to be anybody but yourself, to disappear and be a hollow thing inside of some other idealized body, and to tear yourself apart if that is taken away from you as the devil. 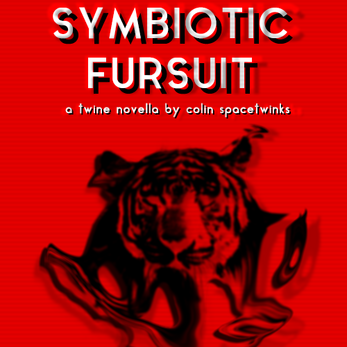 A 20,000+ word twine novella about anxieties, stress, escapism and self-realization within the space of the furry fandom . NOTE: This is not a work of erotica, but an exploration of trying to find an honest expression of the self, and without unintentionally exploiting others while doing so. 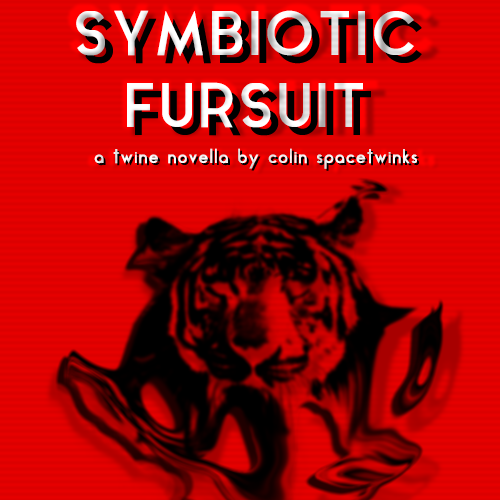 The symbiote here is very different from most symbiote TF stories, and this story contains an emotionally intense personal meltdown and recovery. If you're looking for a softer, sweeter story, and you like or don't mind vore, I recommend reading Devour/Comfort instead. UPDATE: An epliogue has been added, with a meeting with the symbiote three years later.